By now more than 10 years have passed since the outbreak of the great financial crisis. Many alarming developments have taken place since and the global financial system is as dangerous as before and banking regulation has generally been terribly weak wherever you look. More than ever, we need a monetary system that serves society and money creation free of debt by a public institution. In this newsletter issue we welcome a new IMMR member, celebrate another central banks “coming-out” and share various interesting developments and news-articles. We happily welcome a new IMMR member group: The Alliance for Just Money from the USA. More info on them can be found on the IMMR member page or their website and there will be an IMMR blogpost with more info coming soon. 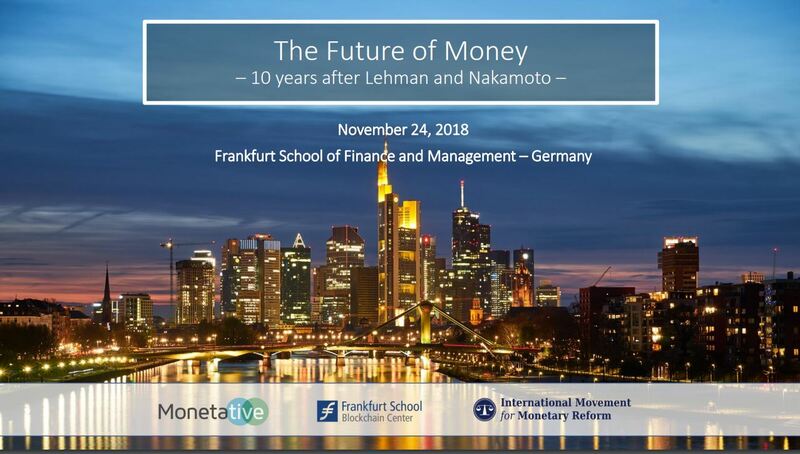 Ticket sale just opened for the conference “The future of money” on November 24th in Frankfurt , hosted by Monetative and IMMR. There are significantly discounted tickets for IMMR members. More info on the conference and programme can be found here. The Australian central bank had its coming-out: Assistent Governor Christopher Kent confirmed in a speech that private banks create most of what is considered money and not the Reserve Bank of Australia. 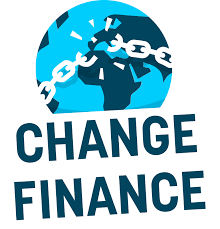 The newly founded campaign coalition Change Finance pulled off many wo rldwide events and campaigns for the recent 10 year Lehman anniversary. They are having a meeting in Brussels on October 9th to plan next steps, if you are interested to join that, contact them. James McAndrews, a former US Federal Reserve (FED) employee, has founded TNB Bank (The Narrow Bank). The idea behind it: All customer funds are deposited as a reserve directly with the FED. Thus, firstly they are secured against bankruptcy and secondly, the interest on FED bank reserves (1,95%) is currently much higher than market rates. This would allow customers high interest rates despite a risk-free investment of their money. The concept would indirectly allow for safe depositing of money in a style similar to “digital cash” but unfortunately, the banks business model is focusing on big financial institutions (making the playground even more uneven). However, so far the FED refused to grant the TNB bank access to its payment system. Positive Money featured an interesting blog series on “Modern Monetary Theory and Positive Money”. Here are part 1 and part 2. “ECB rejects digital euro for wrong reasons”, blog article by Positive Money Europe. Got suggestions for future IMMR newsletters? If you’re interested in contributing to the IMMR newsletter or have suggestions on how we can improve this mailing, please email Brandi at brandi@moneyreform.international. Next Post International money reform at a critical point – we need your help!